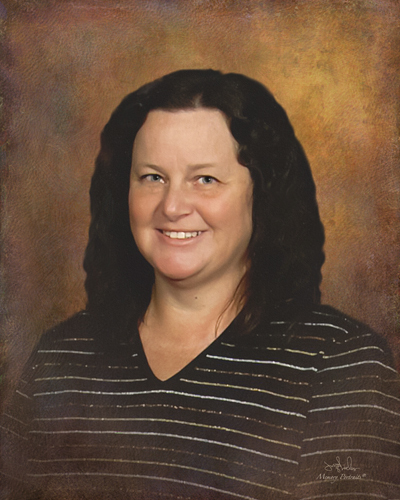 Susan D. Hill, 60, of Patoka, passed away Wednesday, March 27, 2019 at RiverOaks Health Campus in Princeton. She was born November 9, 1958 in Princeton. Susan is survived by her daughter, Liberty (Hill) DeWig (Doug); sons, Michael Hill (Kat), Darren Hill & Riley Hill; grandsons, Chase, Corbyn, Cayson, Bentley, Payton & Brice; sisters, Lisa Hartley (Mike) & Linda Cox (Bill); and special friend, Johnny Greer. A memorial service will be held at 2 pm on Sunday, April 14, 2019 at First Baptist Church, 800 West Faith Boulevard, Princeton, IN, officiated by Pastor Jim Saunders.